EnerGenie LED bulb — the world’s best! We used a unique 3D placement of the LED’s in our EnerGenie LED bulb as opposed to the traditional flat surface 2D placement of LED’s in most other bulbs. This results in a far better light distribution area of 330°, while most other LED bulbs barely provide 140°–160° light angles. The EnerGenie LED bulb produces an awesome 135 lumens per watt. This is around 40 % better than the traditional LED bulbs! Our unique way of more efficient heat pipe design LED cooling (patent pending), ensures that there is no decrease in light output over the years, while traditional LED bulbs can already lose up to 30% of their light intensity after just 10000 hours of service. We also kept all vulnerable electronics well separated from the LED heat source, which makes failure of the EnerGenie LED bulb virtually impossible. An EnerGenie LED bulb will even work perfectly in a closed light fixture, where the most other LED bulbs would fail to work at all! 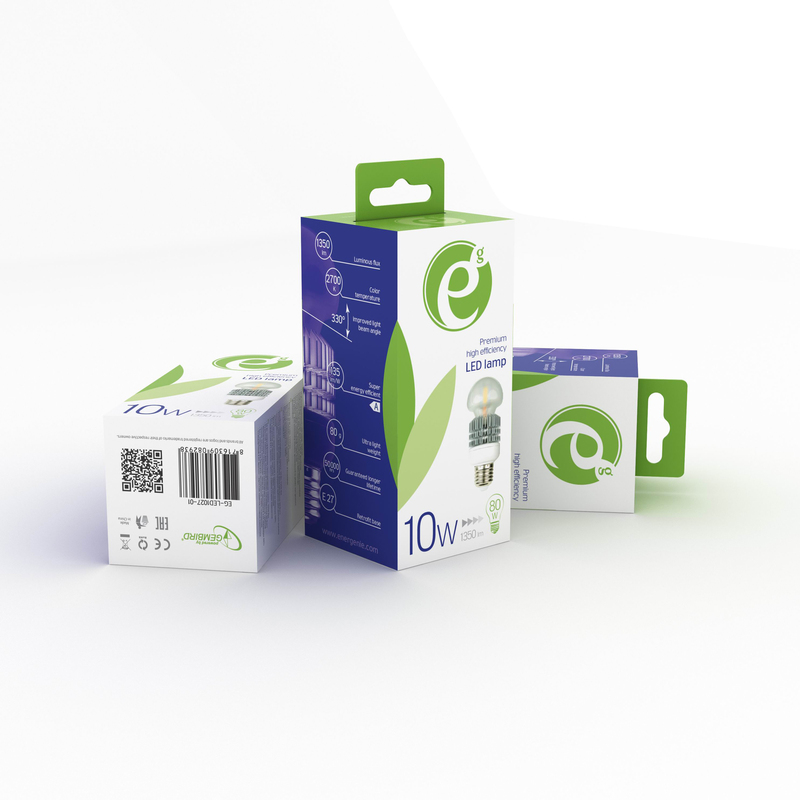 The guaranteed lifetime of one single EnerGenie LED bulb equals that of many traditional incandescent bulbs, up to 7 light saving CFL bulbs or 2 standard LED bulbs. So on top of the electricity cost savings, you also save money on costs for replacement bulbs! The EnerGenie LED bulb will save you money!